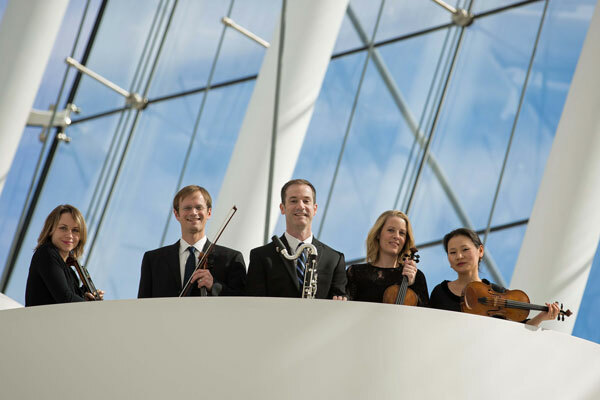 Omaha, NE — The Omaha Chamber Music Society presents their final concert of the Eko Nova series, on May 2nd, titled Dancing in Chains. This performance is based around a piece titled, “Gumboots”, a piece by 21st Century composer David Bruce, inspired by the brutal labor conditions of South Africa. Artistic Director for Eko Nova and Assistant Principal clarinetist of the Omaha Symphony, John Klinghammer spoke to us about the concert. John Klinghammer gave specifics about the way he programmed this recital. His goal of bridging the gaps between classical and new music is truly inspiring. The fourth and final concert of the Eko Nova series, “Dancing in Chains” takes place Monday, May 2nd at 7:00pm at Kaneko. The performers are Artistic Director of Eko Nova, John Klinghammer on clarinet and bass clarinet, and members of the Kansas City Symphony; Sungho Kim and Stephanie Kashkar on violin, violist, Philip Kramp and cellist, Maria Crosby. More information about the concert and tickets can be found online at omahachambermusic.org. From the KVNO Arts desk, I’m Melissa Dundis.